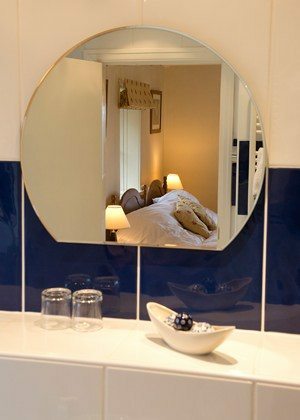 The accommodation offered in our other front bedroom, Robinson, is flexible in that it can be prepared as either two single beds or by linking together as a king sized double. 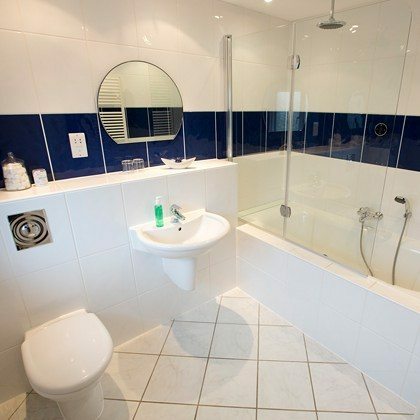 It has the same spacious bathroom as Catbells bedroom but the added facility of a stand up shower over the bath. 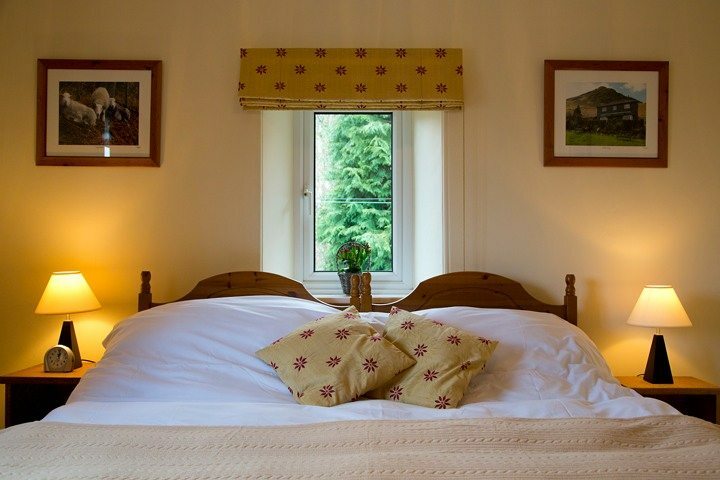 There are direct views over the garden and of Catbells from this room.